This same relation described in agriculture applies to all other industries. Depending on conditions this may also result in a form of rent. For example, the firms that often enjoy such competitive advantages are the big capitals that enjoy economies of scale, and which can afford to introduce machinery that boosts productivity. As a result, Engels pointed out, even at the latter end of the 19th century, it becomes important for these big capitals to keep production running smoothly, and constantly. They have less need of the penny-pinching methods of the smaller capitalists. So, they are prepared to pay higher wages to their workers, to provide better working conditions, the relative cost of which falls the larger the scale of operation and so on. The higher levels of productivity achieved enable higher wages to be paid, whilst the rate and mass of surplus value continues to expand. That was the basis for Fordism. Lenin also makes the same point in his “The Development of Capitalism in Russia”, where he shows that, contrary to the Sismondist notions of the Narodniks, it was in the traditional village commune production where wages and conditions were worst, and that they gradually improved as the production of larger units was considered, with the best wages and conditions being in the larger, often foreign owned, capitalist enterprises. Marx here also makes clear his definition of the rate of profit as being the ratio of the surplus value to the cost of production, i.e. 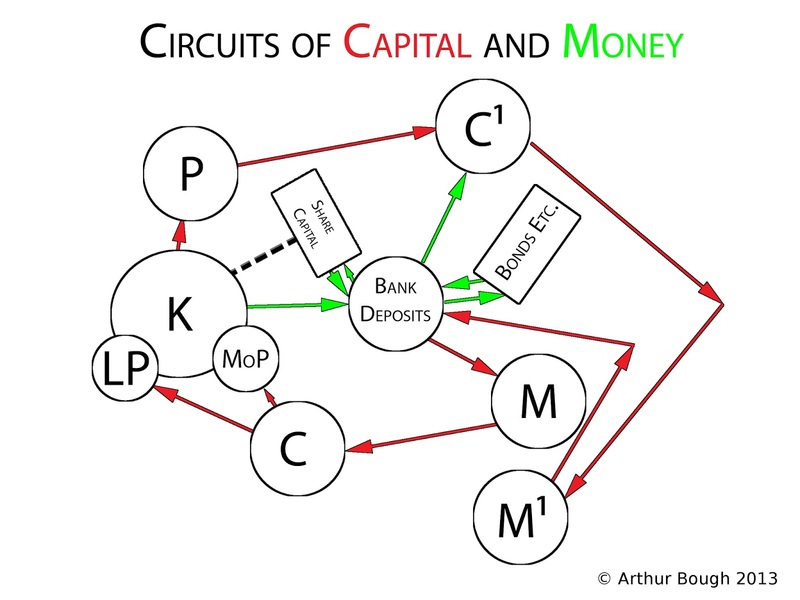 the laid-out capital (d + c + v), as opposed to the annual rate of profit, which is the total surplus value as a ratio to the advanced capital for one turnover period. He also makes clear that the rate of profit/profit margin he is talking about is the surplus value as a ratio to the laid-out productive-capital, irrespective of whether the money-capital that was metamorphosed into it belonged to the productive-capitalist or not. There was a very confused article by Tony Northfield in that regard some time ago, which is particularly bizarre. Tony calculates the rate of profit, there, not on the basis of the actual productive-capital, but only on the basis of the value of the productive-capital less the value of any money-capital it has borrowed! But, as I pointed out to Tony in comments to his blog, there is absolutely no basis in any of Marx's writings for calculating the rate of profit in this way. Tony's argument is particularly bizarre, for several reasons, but, in the case of the dominant capitals, i.e. of joint stock companies, a large part of the capital, is borrowed. It is money that shareholders have loaned to the company. So, if the calculation proceeded on Tony's basis, in a situation where the money-capital loaned to the company, by shareholders, is equal to the value of the advanced productive-capital, the capital advanced by the company itself would equal zero, so that whatever profit it made, would represent a rate of profit of infinity!!! 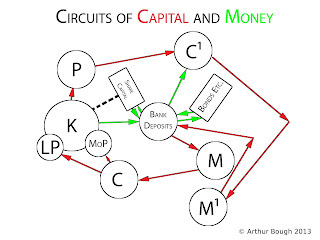 As Marx also makes clear in discussing fictitious capital, money-capital, cannot independently self-expand. Its only the productive-capital that is capable of self expansion, and its only against the productive-capital advanced that the measurement of any such self-expansion can be meaningfully measured. Marx, here, as he does in Capital III, makes clear that his rate of profit, is one prior to any question of the deduction of rent or interest.